The Milken Innovation Center is the hub organizing and managing and strengthening networks that are leading to research and development collaborations, financial innovations, and practical, ready-to-go solutions. We are implementing a strategy to introduce sustainable water technologies in California’s farms, industry, and municipalities. 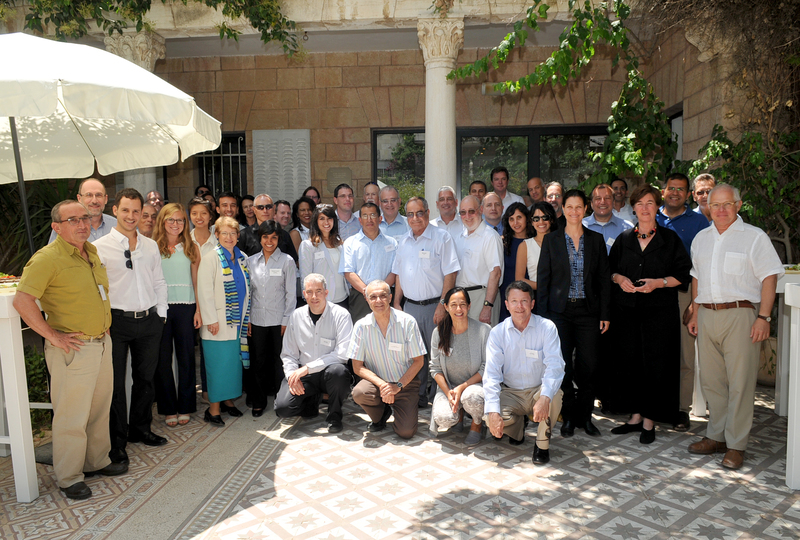 In partnership with Israel’s NewTech office at the Ministry of Economy, the Center is working with policy, industry, and research leadership in Israel and California to introduce new programs, regulation, and financial mechanisms. 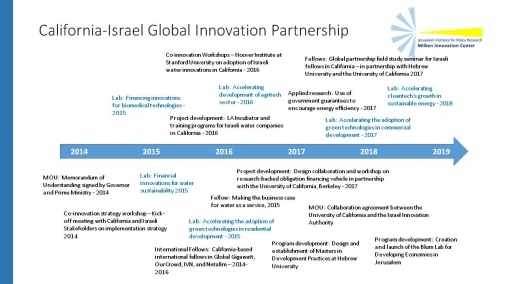 The Milken Innovation Center is expanding the scope of this partnership to include the translation of Israel’s agrotech successes to the California Market with a Financial Innovation Lab in June. 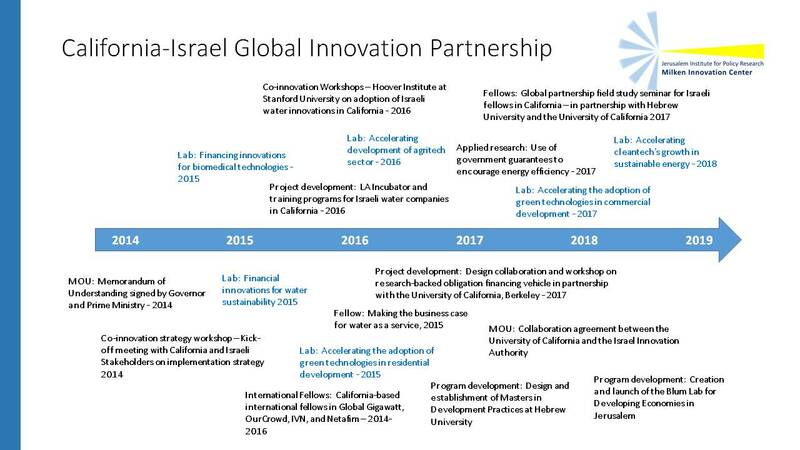 Israeli companies conducting new business in water technology sector in California, including Aqwise, IDE, Netafim, Amiad, Ayyeka, Cropx, ToxSorb, Altantium, and others. Using proposals from the Water Financial Innovations Lab, policy leadership group led by the California Governor’s Office have launched a working group to adjust existing farm and municipal financing programs to encourage the adoption of water saving technologies among California’s municipal water districts and farms. July, 2017, Financial Innovation Lab , Accelerating the adoption of Commercial green technologies in Commercial Development. 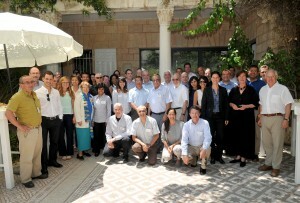 May 2017, Global Partnership field study seminar for Israeli fellows in California. May, 2016 – Milken Institute Global Conference Panel on implementing sustainable water solutions in California.